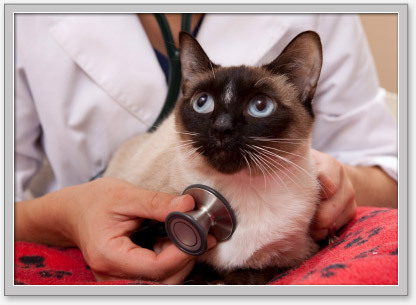 Good Neighbor Vet offers a full pet health exam performed by a licensed veterinarian, pet microchipping, and diagnostic testing for heartworm, feline HIV and leukemia at their mobile veterinary locations in Washington, Idaho, and Oregon. For a convenient and affordable alternative, we have multiple locations throughout the northwest providing low cost dog/cat pet vaccinations, parasite treatments and other limited mobile veterinary services. Our affordable preventative care pet clinics offer your pet the best pet health care available which will help ensure your companion lives the longest and fullest life possible. For surgical and diagnostic procedures (x-rays, ultrasound, etc.) we refer clients to local full service veterinary clinics. Prevention is the key to keeping your pet healthy. We recommend all pets undergo an annual pet wellness exam, though more frequent exams are encouraged. Pets age faster than humans and your pet's health status can change in a few short months. Exams establish an overall picture of your pet's health and can often help detect health problems and conditions in your pet before they become more difficult and more expensive to treat. 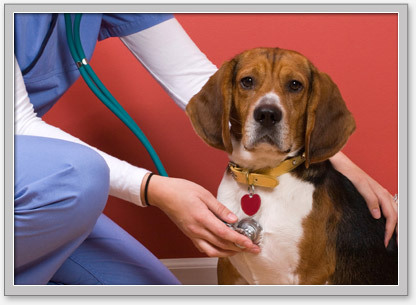 During our pet health exams, we record the animal's heart rate, temperature, respiration, weight, general appearance, and any other comments that the veterinarian notes. In addition to our pet wellness exams, we also educate our customers about zoonotic diseases and the importance of heartworm and flea/tick prevention. Find a Good Neighbor Vet clinic location. Pet identification is a must, but sometimes, a sturdy collar and ID tag aren't enough to ensure your pet returns home safely if he or she is lost. 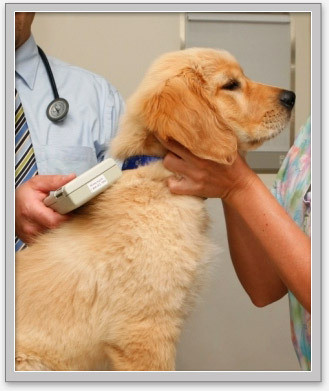 Microchipping your pet is a simple procedure that permanently identifies your pet. A microchip is about the size and shape of a grain of rice. It is implanted underneath your pet's skin, usually between the shoulder blades, in a process similar to a vaccination. The microchip is encoded with unique information about your pet; this information corresponds to a national pet database. Veterinary hospitals and animal shelters across the country are equipped with special scanners capable of detecting and reading microchips. If your pet is lost, his or her microchip is scanned and the information it contains is used to reunite you and your best friend. We use 911 Pet Chip Microchips and encourage the use of their Free Pet Chip Registry to register ALL of your pets regardless of the manufacturer of the microchip. Pet Identification/Microchipping in Oregon, Washington, and Idaho. Parasites can be a pain for your pet and your family. External parasites such as fleas and ticks and internal parasites like heartworms, hookworms and roundworms, can cause far-reaching health problems for your pet. Some parasites, such as hookworms and roundworms, can be transmitted to humans. Young children are particularly at risk for infection. Proper parasite prevention for your pet is extremely important! Heartworm prevention is particularly important. Heartworm disease is a serious, life-threatening disease that affects both dogs and cats. Left untreated, heartworms can damage your pet's heart and lungs and, in some cases, cause death. The symptoms of heartworm infection appear slowly and may not be readily apparent. For dogs, symptoms include coughing, difficulty breathing and lethargy. 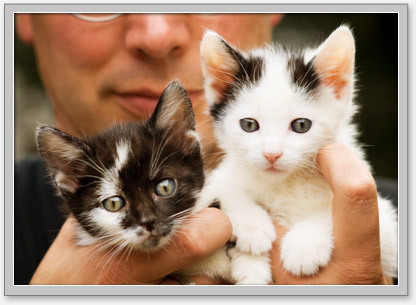 Cats may experience convulsions, diarrhea, difficulty breathing, coughing, fainting and lethargy. If your pet is showing any of these signs, please bring him or her in for an examination immediately. We can help you prevent these health problems at our affordable veterinary clinics. That's why we are here, and also why we have so many mobile vaccine clinic locations in Washington, Idaho, and Oregon. Contact us today!